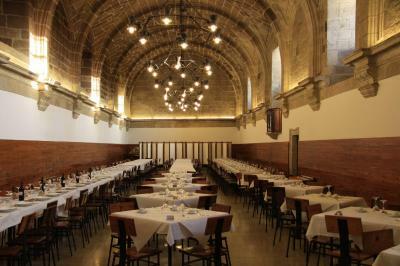 Lock in a great price for Hospedería San Martín Pinario – rated 8.8 by recent guests! Meals tasty and good value. Loved the location Staff helpful and friendly Great areas to meet with friends. 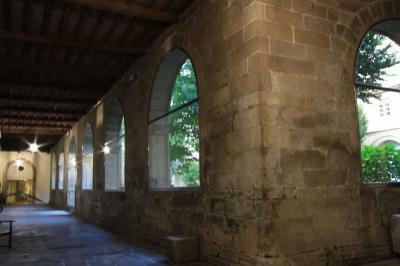 Great location and in a magnificent old building that was once a monastery. 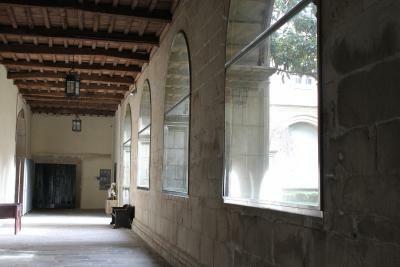 Amazing historical building in the heart of Santiago. If you really want to waste €94.00, stay in this place for a night. Poor heating system, they control it and you will spend the night freezing. 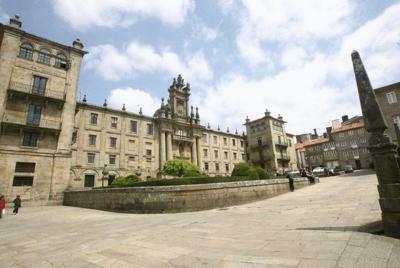 The location is fantastic as it is next door to the cathedral and the walk there from the train station was less than 20 minutes. 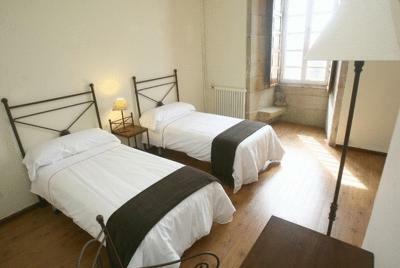 The rooms are somewhat spartan but that's what we expected as we were staying in a monastery. 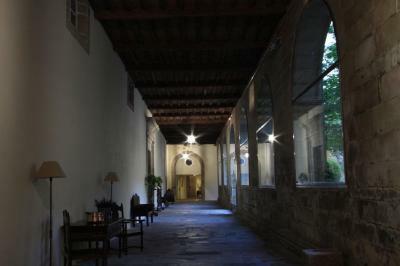 They provided a great experience as it is a restored monastery. 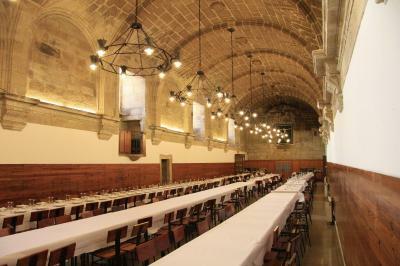 Both the breakfast and dinner dining halls were huge and adequately offered basic foods. The dinner was a great value. The staff was pleasant and spoke enough English. 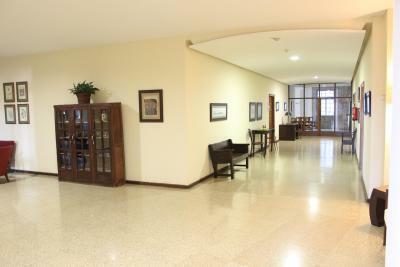 Such an excellent location, comfortable rooms, and a welcoming atmosphere! 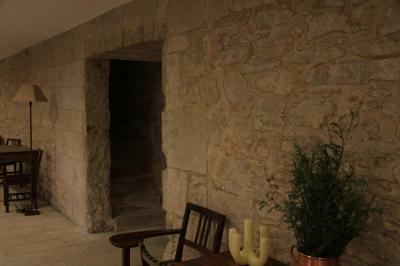 Centrally located next to the cathedral. Helpful, pleasant staff. Very clean. Good value. Staff were very pleasant and helpful. The breakfast was great. The location was perfect. This place was incredible. 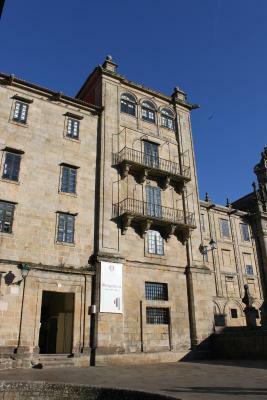 Right in the heart of the old city, filled with lovey pilgrims of the Camino de Santiago and helpful staff. The restaurant was fantastic, amazing price and quality food. Our dinner was a three course menu with water and wine included for 11 euro a person. We stayed for two nights with our two year old and everyone was very welcoming. They even had a high chair for her at dinner and brought it over to the dining hall for breakfast for us! We also the ate breakfast which was very much worth the 6 euros. 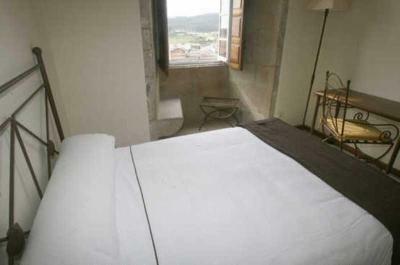 The beds were comfortable and the rooms beautiful. The water pressure was also the strongest I’ve ever experienced. The room is a bit chilly at check in but the heat popped on around 6pm and kept us nice and warm all through the night. There’s even a lovely gift shop too. 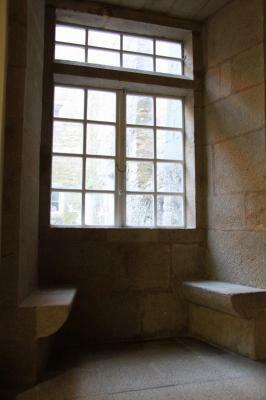 Our trip was heavily inundated with rain and we spent more time than usual inside, this place was perfect for us. Hope you enjoy as much as we did. Hospedería San Martín Pinario This rating is a reflection of how the property compares to the industry standard when it comes to price, facilities and services available. It's based on a self-evaluation by the property. Use this rating to help choose your stay! 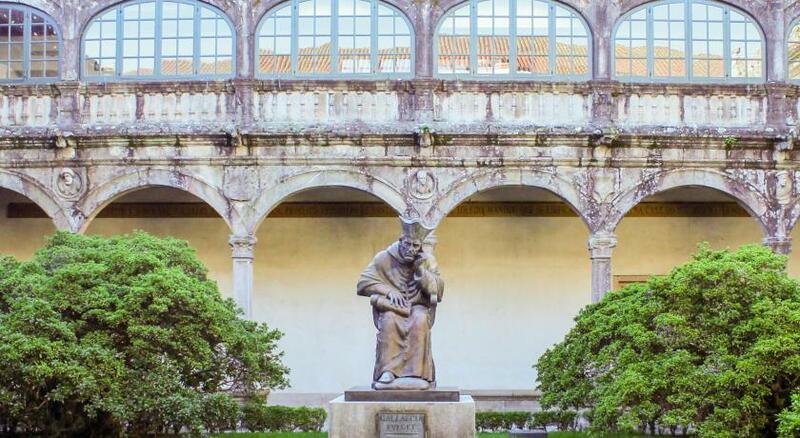 One of our top picks in Santiago de Compostela.Located opposite Santiago de Compostela Cathedral, this converted monastery offers simple, bright rooms and a 24-hour front desk. 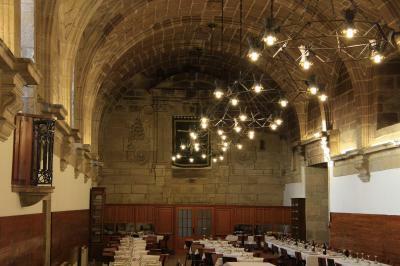 Characteristic Galician dishes are served in its impressive vaulted dining room. 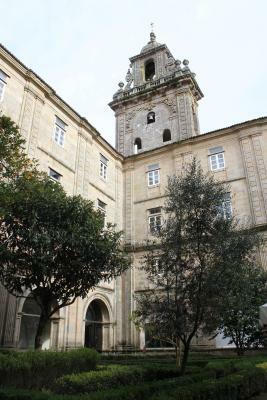 Set on Plaza de la Inmaculada, the Hospedería San Martín Pinario is popular with pilgrims on the Camino de Santiago pilgrimage route. It offers buffet breakfast and packed lunches. 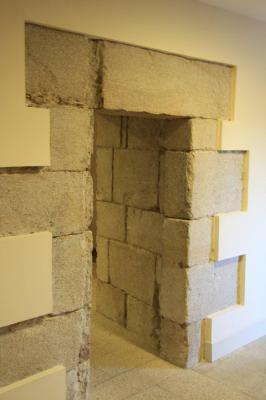 The rooms at the Hospederia feature smart décor. 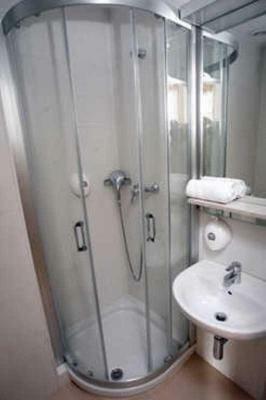 All have heating, a desk and a private bathroom. 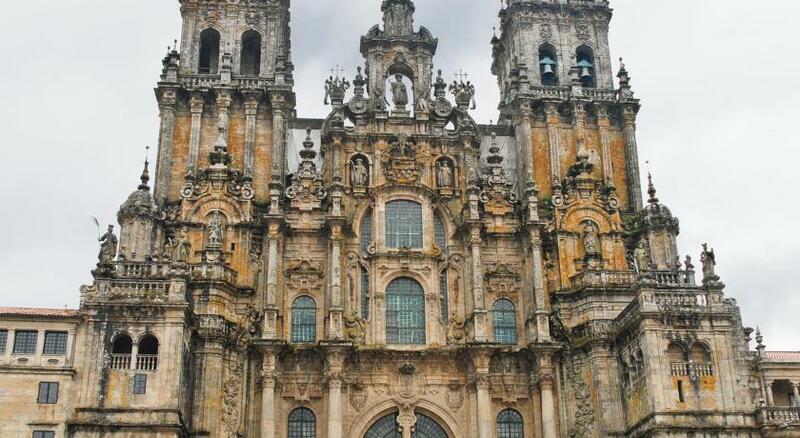 Santiago de Compostela’s beautiful old town is a UNESCO World Heritage Site. 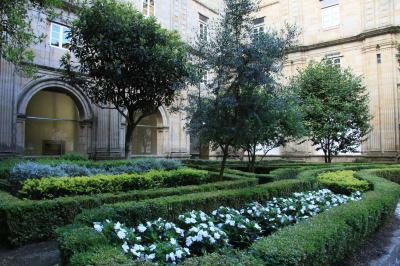 뀐 Located in the real heart of Santiago de Compostela, this property has an excellent location score of 9.8! 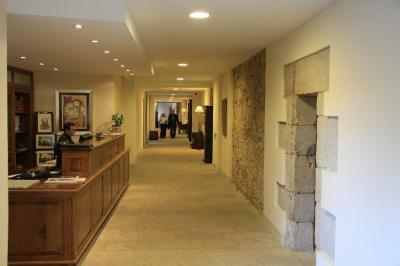 When would you like to stay at Hospedería San Martín Pinario? 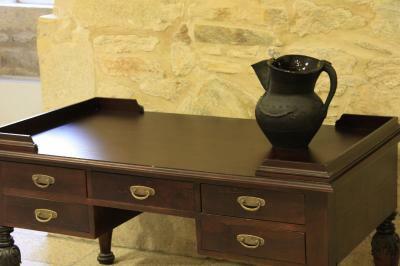 This charming room features a work desk and a private bathroom. 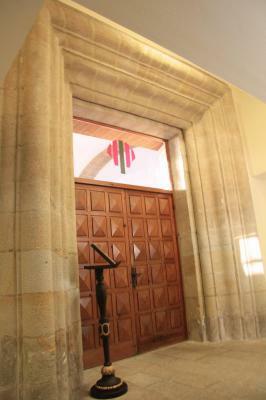 House Rules Hospedería San Martín Pinario takes special requests – add in the next step! Hospedería San Martín Pinario accepts these cards and reserves the right to temporarily hold an amount prior to arrival. The beds were a bit small. Wonderful venue and location, next door to the cathedral. The staff were friendly and kind, especially waiting staff, and given it’s a building with so much history it’s incredibly good value for money. The shower did not drain properly. The room was very small as was the bathroom. There was no phone. During showers, water leaked onto the floor through the door. Could hear people talking outside the room. Thiught the room rate was pricey. 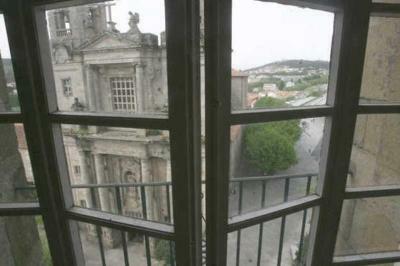 Heard that the pilgrim rooms on the 4th floor were probably better value but dud not see those rooms. 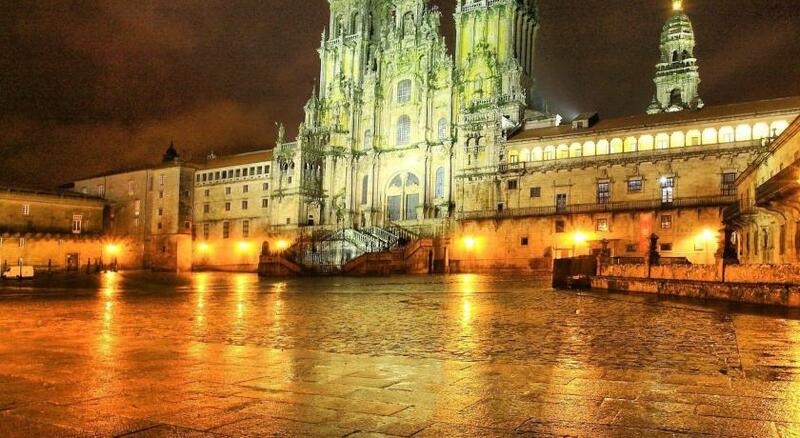 Great location in front of cathedral (though it was closed for repairs). 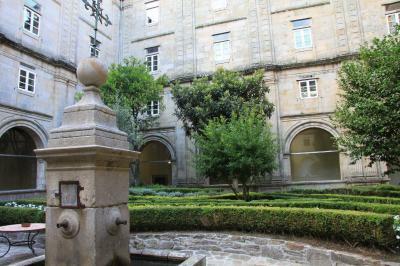 Loved the architecture, the square, the cobbled street, the little courtyard inside with the fountain, and all the seating areas scattered throughout the hotel. The bed was comfortable. The meals were good value - Breakfast €6, lunch €12, dinner €11. Only had b’fast and dinner and found that to be sufficient food fir the day. Location is excellent, lots of facilities for pilgrims and travellers. Good breakfast and a nice place to relax when Santiago is crowded with tourists. By far the worst hotel experience I’ve ever had. The staff was unfriendly at check in and at breakfast the following morning. The bed frames are attached to the wall and pieces of drywall were falling onto my pillow. The heaters don’t come on until 7 pm and turn off in the morning. The blow dryer in the bathroom stopped working after 2 minutes. The only positive was the location to the cathedral. I would strongly recommend not choosing this hotel. You’re better off paying less for somewhere slightly outside of the center. 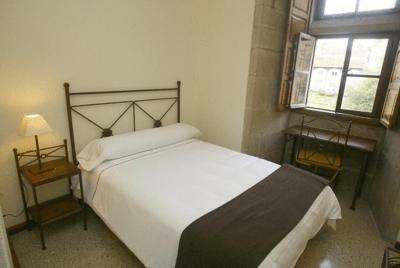 Very nice basic room in the center of Santiago. Good breakfast. 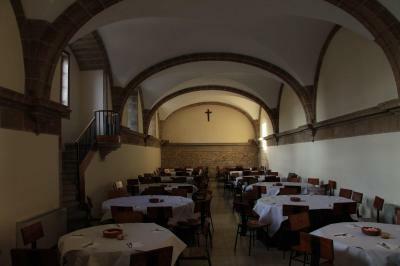 Lovely , old coverted monastry beside cathedral , lovely room and confortable bed with a ovely buffet breakfast in the morning ... great ! It was basic for the price, in uk premier inn would have been cheaper and better and quieter.. No tea tray in room. Breakfast would have been extra too so just room really. 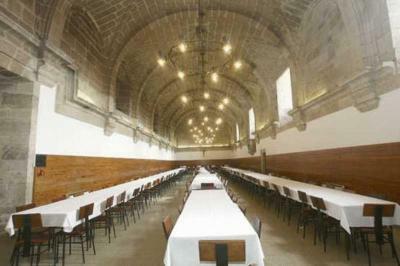 it was a basic room , sparsely furnished, very noisy, conferences etc in other rooms.